Ranger Boats Custom Finish Shop | FISHING FURY - A Fishing Blog with Attitude! 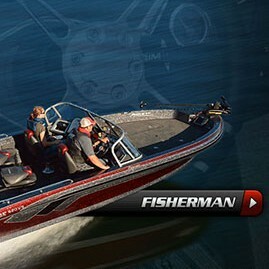 Have you ever dreamed of customizing every last inch and detail of a Ranger boat to create the bass boat of your dreams? Of course you have! That’s why Ranger has released the new custom finish shop where you can tweak, paint, and customize just about every detail*. Show us what your dream boat look like! * For the best experience a high-speed internet connection is highly recommended. Amazing! This is very interesting. I can create my own ranger boat with this new custom finish shop. I cannot wait to have this. Thanks a lot for the big idea!